6 Days 'Til Disney: Selecting the Right Ticket | What's the Point? After you select the perfect Disney Resort hotel, the next item to check off your to-do list is your park tickets. Many Disney Vacation Club members purchase Annual Passes. However, since we are using all of our points on a two bedroom villa at Kidani Village, this will be our one trip of the year. Instead of purchasing Annual Passes, we opted for Magic Your Way tickets. Magic Your Way is the current Disney ticket system. You purchase a base ticket good for one day, in one park. How many days are you going to be in Disney theme parks? Your answer will be the number of days you will select on your ticket. Are you unsure about the amount of days you will be in the park? A good rule of thumb for this situation would be to purchase more days and add the "no expiration" option. The more days you purchase, the less it will cost you per day. (Check out the price difference between day 1 and 2 versus day 9 and 10.) In the future when you return to Disney Parks, your ticket will still be active no matter how much the price goes up. Price per day for this feature is approximately $25. Do you plan on going from park to park on a single day? Do you have plans on being in one park in the morning and go to another for dinner? If so, opt for the "park hopping" option on your Magic Your Way ticket. This feature adds $55 to your base ticket price, no matter how many days you are purchasing. Do you plan on going to the water parks, Disney Quest Interactive Theme Park, play a round of golf or go to the Disney Wide World of Sports Complex? If so, add the Water Park Fun & More Option. This feature adds $55 to your base ticket price, no matter how many days you are purchasing. If your tickets are more than, or close to, $552.74 Adult (10+), $509.07 Child (3-9), consider purchasing an Annual Pass. Annual Passes offer passholders additional discounts, so it may be worthwhile. 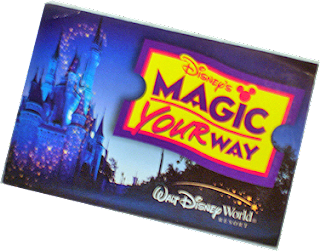 Our Magic Your Way tickets are approximately $100 less than the annual pass, so we opted for Magic Your Way plus the park hopper. We knew how many days we will be in the park (8 minus 1 day in Universal) so we purchased our tickets in advance to streamline the check in process. Post any questions below in the comments section. Enjoy! Love it, Roe! I am shocked that you are skipping Disney for a day to go to Universal!! Do you normally do that? Can you believe I have NEVER been to Universal because I can't get myself to stay away from Disney for even one day!! Hahaha thank you so much for that comment Leanne! You are one hundred percent right! I NEVER do that. In fact, I consider it cheating on Disney. I lived in Orlando for over a year between my two internships and I never spent one day in Universal. However, I do love Harry Potter. Very much. So I am making the exception this one time. :) Look out for my post tomorrow about this topic!